Cooper Research Technology attended the Insider Made in the Midlands Awards 2016 at the Hilton Birmingham Metropole NEC hosted by broadcaster Jason Mohammad. We were in the running for the Export Award and we had some stiff competition! However we are delighted to announce that we won the Insider Made in the Midlands Awards 2016 Export Award. Cooper Technology is proud winner of The ICE East Midlands Merit Awards (EMMAs) 2012 for testing equipment in “Studies and Research Category“. The ICE EMM Awards are the region’s annual celebration of civil engineering excellence. 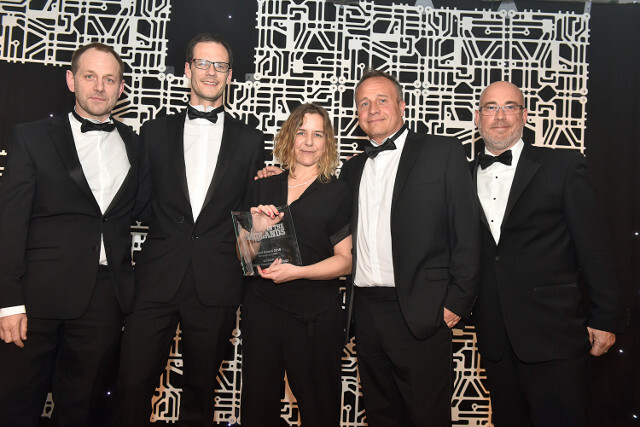 The awards took place during the annual ICE East Midlands Gala Dinner held on Friday 7 June at the Nottingham Belfry Hotel. 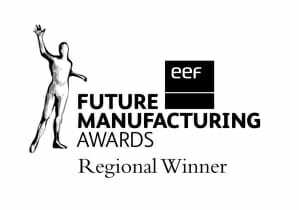 Cooper Technology strikes again; after winning the EEF’s Future Manufacturing Business Growth Award 2010, becomes International Business of the year for Derbyshire and Nottinghamshire. Cooper was declared regional winner at the Roundhouse in Derby on the 26th of February 2010.
Cooper Technology prides itself on designing and manufacturing high quality products. Quality is fundamental to our activity; it not only relates to the final product but extends also to the systems we employ. Our systems are internationally recognised via ISO 9001:2015. Our certified partner in helping us achieve this recognition is BSI (British Standards Institute). For over 100 years, BSI has led the way in developing the concept of standards and ensuring that they are relevant to your business. No other certification body can offer the expertise, knowledge and recognition that is associated with a BSI certificate. BSI Management Systems, one of the world’s leading certification bodies, and the ANSI-ASQ National Accreditation Board (ANAB), the national accreditation body of the USA, have signed an agreement under which ANAB will provide accreditation services to BSI around the world. Cooper Technology has full membership of the Avetta Consortium. Avetta helps the world’s leading organisations effectively manage contractual supply chain compliance through prequalification document management, auditing, employee-level qualification and training, insurance verification, and business intelligence. Avetta’s cloud-based technology and expert insights simplify contractual supply chain compliance, cost effectively improving processes and mitigating risk for customers.